1. WHAT IS LIMPOPO DEPARTMENT OF HEALTH & SOCIAL DEVELOPMENT BURSARY SCHEME? 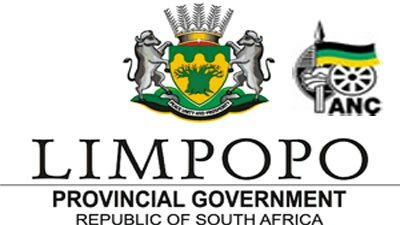 A recruitment measure by Limpopo Department of Health and Social Development to fill the identified and existing skills gap required to render the efficient and good quality service. 2. HOW DOES THE BURSARY SCHEME WORK? The Department identifies the required skills needs in line with its strategic objectives. All the above categories should be intending or currently furthering their studies in study fields as indicated under item E below. Interested students apply either personally, telephonically or in writing. Completed application forms are submitted to Department of Health and Social Development at the centers as mentioned immediately above or posted to the Department at the postal address at the bottom of this pamphlet on or before the 31st October of each year. Applicants are to submit proof of admission/promissory letter of acceptance with tertiary institutions where they intend to enroll for their studies immediately upon receipt thereof. Bursary Confirmation letter is then handed to the applicant [now the bursary holder] to be submitted to the tertiary institution where he/she has been registered. Book Allowance as determined from time to time. The Bursary is granted subject to the prospective bursary holders entering into Contractual Agreement with Department to the effect that upon completion of their studies, they will be compelled to serve Limpopo Department of Health and Social Development the number of years equivalent to the period of financial assistance without an option of a transferring the obligations to elsewhere. Applicants who are holders of any other bursary are not allowed to apply. In the event the bursary holder fails to progress to next level of his/her studies, he/she has the responsibility to pay for him/her tertiary fees for the year until he/she produces satisfactory proof that he/she has been promoted. NB: Availability of grants are dependent upon the Departmental needs at any given time. Resignation from work prior full compliance to the Bursary Contractual Service Obligations.